Hertz's paternal great-grandfather, David Wolff Hertz (1757–1822), fourth son of Benjamin Wolff Hertz, moved to Hamburg in 1793, where he made his living as a jeweller; he and his wife Schöne Hertz (1760–1834) were buried in the former Jewish cemetery in Ottensen. Their first son, Wolff Hertz (1790–1859), was chairman of the Jewish community. Heinrich Rudolf Hertz's father and paternal grandparents had converted from Judaism to Christianity in 1834. His mother's family was a Lutheran pastor's family. While studying at the Gelehrtenschule des Johanneums in Hamburg, Heinrich Rudolf Hertz showed an aptitude for sciences as well as languages, learning Arabic and Sanskrit. He studied sciences and engineering in the German cities of Dresden, Munich and Berlin, where he studied under Gustav R. Kirchhoff and Hermann von Helmholtz. 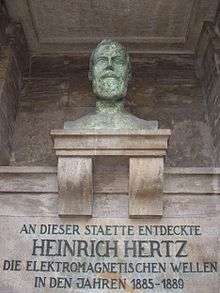 In 1880, Hertz obtained his PhD from the University of Berlin, and for the next three years remained for post-doctoral study under Helmholtz, serving as his assistant. In 1883, Hertz took a post as a lecturer in theoretical physics at the University of Kiel. In 1885, Hertz became a full professor at the University of Karlsruhe. In 1886 Hertz married Elisabeth Doll, the daughter of Dr. Max Doll, a lecturer in geometry at Karlsruhe. They had two daughters: Johanna, born on 20 October 1887 and Mathilde, born on 14 January 1891, who went on to become a notable biologist. During this time Hertz conducted his landmark research into electromagnetic waves. 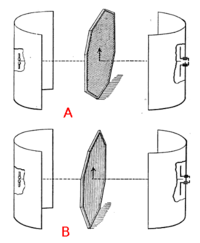 Hertz's 1887 apparatus for generating and detecting radio waves: a spark transmitter (left) consisting of a dipole antenna with a spark gap powered by high voltage pulses from a Ruhmkorff coil, and a receiver (right) consisting of a loop antenna and spark gap. After Hertz received his professorship at Karlsruhe he was experimenting with a pair of Riess spirals in the autumn of 1886 when he noticed that discharging a Leyden jar into one of these coils would produce a spark in the other coil. With an idea on how to build an apparatus, Hertz now had a way proceed with the "Berlin Prize" problem of 1879 on proving Maxwell's theory (although the actual prize had expired uncollected in 1882). He used a Ruhmkorff coil-driven spark gap and one-meter wire pair as a radiator. Capacity spheres were present at the ends for circuit resonance adjustments. His receiver, a precursor to the dipole antenna, was a simple half-wave dipole antenna. This experiment produced and received what are now called radio waves in the very high frequency range. 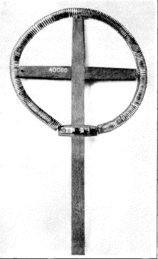 Hertz's first radio transmitter: a dipole resonator consisting of a pair of one meter copper wires ending in 30 cm zinc spheres. When an induction coil applied a high voltage between the two sides, sparks across the center spark gap created standing waves of radio frequency current in the wires, which radiated radio waves. The frequency of the waves was roughly 100 MHz, about that used in modern television transmitters. Between 1886 and 1889 Hertz would conduct a series of experiments that would prove the effects he was observing were results of Maxwell's predicted electromagnetic waves. 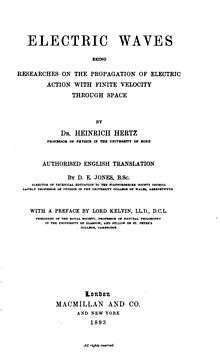 Starting in November 1887 with his paper "On Electromagnetic Effects Produced by Electrical Disturbances in Insulators", Hertz would send a series of papers to Helmholtz at the Berlin Academy, including papers in 1888 that showed transverse free space electromagnetic waves traveling at a finite speed over a distance. In the apparatus Hertz used, the electric and magnetic fields would radiate away from the wires as transverse waves. Hertz had positioned the oscillator about 12 meters from a zinc reflecting plate to produce standing waves. Each wave was about 4 meters long. Using the ring detector, he recorded how the wave's magnitude and component direction varied. Hertz measured Maxwell's waves and demonstrated that the velocity of these waves was equal to the velocity of light. The electric field intensity, polarity and reflection of the waves were also measured by Hertz. These experiments established that light and these waves were both a form of electromagnetic radiation obeying the Maxwell equations. Hertz also described the "Hertzian cone", a type of wave-front propagation through various media. 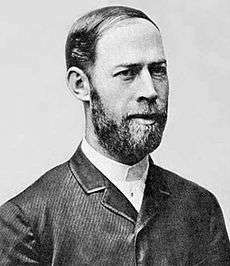 Heinrich Hertz's nephew Gustav Ludwig Hertz was a Nobel Prize winner, and Gustav's son Carl Helmut Hertz invented medical ultrasonography. 1 2 Institute of Chemistry, Hebrew University of Jerusalem: Heinrich Rudolf Hertz. ↑ Norton, Andrew (2000) Dynamic fields and waves. CRC Press. ISBN 0750307196. p. 83. ↑ Heinrich Rudolf Hertz. Highfields-arc.co.uk. Retrieved on 22 August 2014.